This transmitter is found at WBEC in Pittsfield, MA. 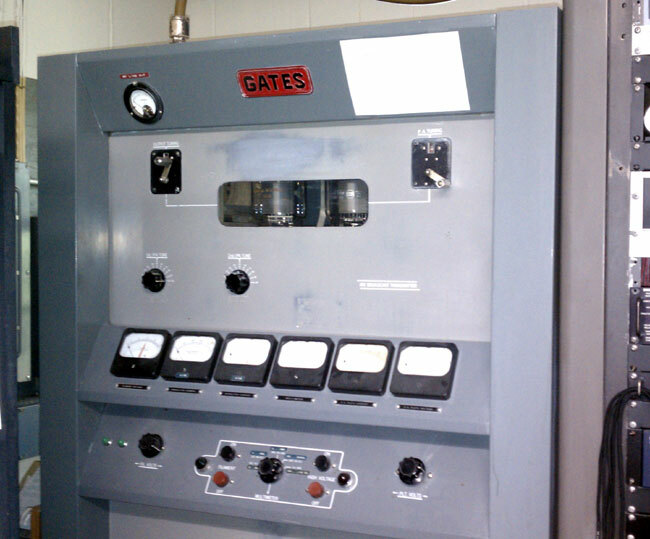 It is still in operation as a standby transmitter for that station and has a manufacture’s date of 1955. The Broadcasting Yearbook places WBEC first on air in March of 1947. This would be the second transmitter the station installed. The transmitter has been in service for 56 years, which is remarkable. This was made back when Gates was just Gates (no Harris) and AM radio was still king of the airwaves. TV was coming of age, FM radio still had a ways to go until widespread acceptance by the general public. This transmitter doesn’t get to run very much, the third transmitter installed at WBEC is a Nautel AMPHET-1.